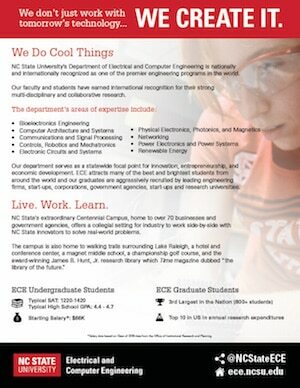 The Department of Electrical and Computer Engineering has as its mission the accumulation, generation, and dissemination of knowledge in Electrical and Computer Engineering.Central to the mission is a high quality research and educational program that benefits our students, the State of North Carolina, the nation and the world. 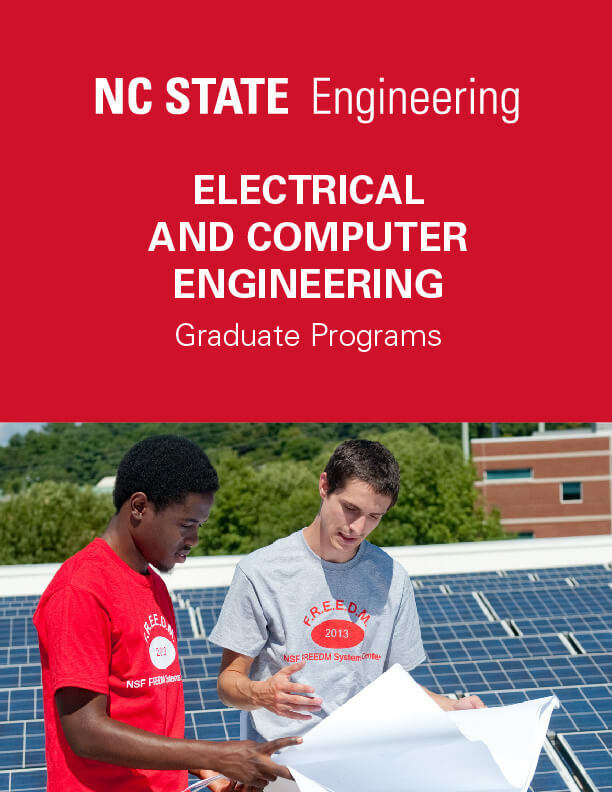 NC State University’s Electrical and Computer Engineering Department is nationally and internationally recognized as one of the premier engineering programs in the world. Our faculty and students have earned international recognition for their strong multi-disciplinary and collaborative research. Our department serves as a statewide focal point for innovation, entrepreneurship, and economic development. 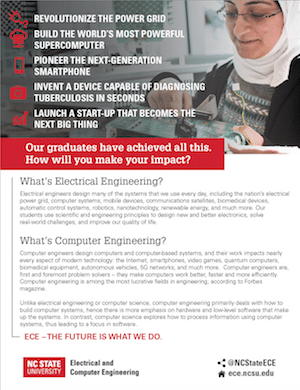 ECE is nationally recognized for attracting many of the best and brightest students from around the world and our graduates are aggressively recruited by leading engineering firms, startups, corporations, government agencies, and research universities. 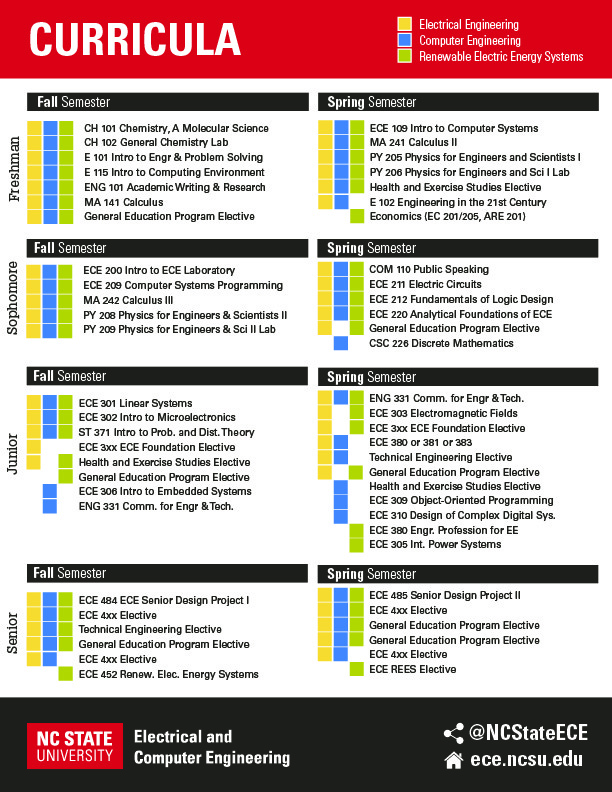 The ECE Department offers programs of study leading to Bachelors of Science, Masters of Science, and Doctor of Philosophy degrees in Electrical Engineering and/or Computer Engineering. The department’s graduate program is nationally and internationally recognized as one of the premier engineering programs in the world, according to the US News and World Report. Our elite ECE faculty includes 5 Alumni Distinguished Professors, 20 IEEE Fellows, and 13 National Science Foundation CAREER award winners (presented to the nation’s most promising young faculty members). Dr. B. Jayant Baliga has been awarded the National Medal of Technology and Innovation, the nation’s highest honor for technological achievement. Also, Dr. Alex Huang developed “smart transformers” that made MIT Technology Review’s list of the world’s 10 most important emerging technologies in 2011. The U.S. Army’s Commander’s Award for Public Service was awarded to Dr. Michael Steer – the only civilian to have received it. As one of the nation’s leading land-grant institutions, founded on the principle of helping others help themselves, educational parity is not just our commitment, it’s our promise. 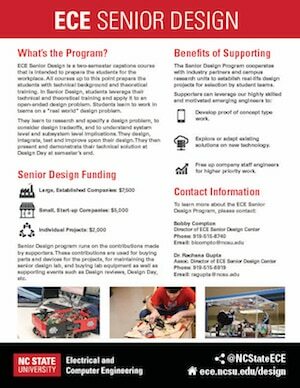 Consisting of a large and diverse student base of some of the brightest young minds in the engineering field, the ECE Department has demonstrated excellence and commitment in the areas of academics, student support, and community. More than 150 graduate students are supported each year through fellowships, research assistantships, and teaching assistantships. Additionally, ECE students can participate in many well-respected and nationally recognized student organizations. The large ECE graduate enrollment is sustained by a research program with an expenditure rate of approximately $40M per year. The research program of the ECE Department is organized into several different research areas whose disciplinary domains span a wide variety of diverse topics. We are a community of scholars. Our primary purpose is to understand the world more deeply, and to creatively use that understanding to improve the human condition. Our understanding is deepened and our creativity enhanced by different points of view. 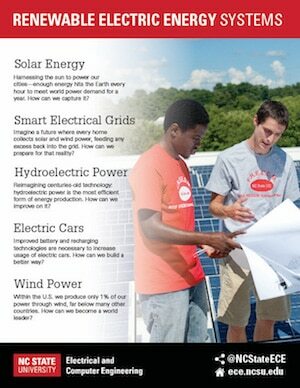 People from all backgrounds and walks of life should feel welcome in Electrical and Computer Engineering. We are respectful to everyone. As a community of scholars, we are able to discuss difficult and controversial issues. No one should be made to feel uncomfortable, unwelcome, or unsafe because of their opinions, beliefs, ethnics or racial background, gender, sexual orientation, or sexual identity.